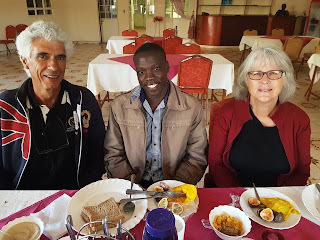 We arrived at the Adventist Hotel in Eldoret late Wednesday night after a full day of travel. After carrying my luggage into my room, I had a shower. While it has a long ways to go to be a shower like home, it was water falling from above and it was a beautiful experience! The bed was wonderfully comfortable and the second shower in the morning was another gift from above! The showers here use an instant heat mechanism that you must switch on before entering the shower. After waiting for it to kick-in you turn on the single knob and find the sweet spot where cold and warm are equalised to your liking. Interestingly, the shower is above the toilet. The one room serves as shower, toilet and sink. The toilet is completely soaked as is the entire tiled floor of the bathroom. This leads to slippery moments and a constant mental reminder to check the floor before entering the bathroom later as it will most likely be wet and as slippery as a wet fish. After showering, I put all of my dirty clothes together and took them to the housekeeping people. For a small fee, they washed, dried, ironed and folded all my Maasai muddied clothes. This is a true blessing for Adventists travelling Kenya! In the dining hall at breakfast, Amos came to visit. Amos was Leon and Carole’s very first sponsor child here at Hands of Hope Academy. They had not seen him for four years and it was a joyous reunion of storytelling. Rescued as an orphan as a small boy, Amos attended Hands of Hope Academy and showed himself to be a committed student. Amos is now a few months away from graduating from university with top marks. He has been studying mathematics and statistics. He told us of his desire to become a statistician and how difficult it can be to find a job. He said he was intending to do further study after his attachment (placement) at the end of this term. “No, I don’t work in that part of the hospitals.” Hesbon said. “Do you need another attachment?” I asked. Leon walked in and I introduced them, giving him a quick update. They swapped stories and details and it looks like Amos will not struggle to find an attachment! Inbetween those breakfasts was an amazing day filled with meeting children in situations both before and after being taken to Hands of Hope Academy. First we drove to the Academy and met Nestor, the passionate leader behind all that happens there. Nestor is an administrator and insures that the students and teachers have all they need to provide the best education possible for the children rescued from the Eldoret area. 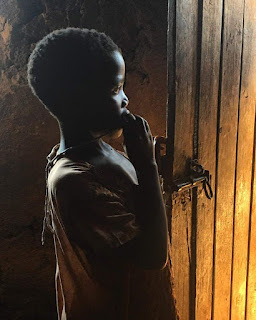 Most of the 59 children at Hands of Hope Academy were living on the local dump before they were rescued, cleaned up and taken to the boarding school just outside Eldoret. Among all of the children rescued, only one has left the school and returned to life on the street. This is their choice but the change in their lives is enough to keep most focused on a better future through Christian education. Late last year, the students participated in an evangelistic program and 29 of the 59 were baptised. This combination of faith in Christ and education gives them the best possible start in life and leads them toward eternal life as well. The other children at Hands of Hope University, like the five we met today, came from slum areas around Eldoret. The parents of these children have decided to send their children to the boarding school to provide a hope and a future for them outside of the slums. After visiting the students and sharing a time of worship and games with them, we entered each of Eldoret’s three slum areas to meet the families of our five newest recruits. It is hard to describe the poverty and dire need we encountered. 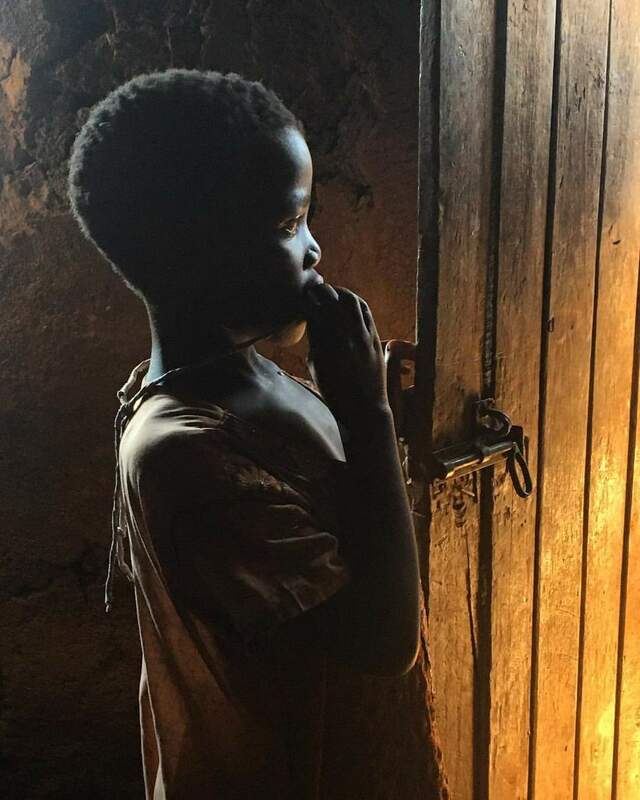 The mother of one child, Margaret, explained to our translator that when they cannot come up with the 200 shillings a week rent ($2 US) for their slum house, the landlord comes and locks the entire family outside until they give him the money. I asked the translator how much rent was, just a few blocks away, in the city. “About 7000 shillings a month,” she said. To leave the slums, a family must afford nearly 10 times the amount for rent. It is an impossible situation. So they continue living in makeshift housing with their livestock and children all sharing the same tiny room. All of the children we visited in the slums were about seven years old - ready to start school. First we met Agnes and her parents. Our translator, Eucabeth, showed the parents photos of their son John who started at the school a couple of months ago. At first they looked at the pictures not sure it was really him. But as she flipped from one photo to the next they realised the gorgeous clean boy wearing the school uniform was, indeed, their son John. Laughter and tears followed as they showed the pics to the other children in the room. The transformation truly is amazing. As I am writing this, the others are outfitting the five new students with clothing and shopping for their needs this term. They will return here soon and we will scrub the kids down and give them fresh haircuts. Then, in their new clothes and looking their very best, we will take them to meet their new school friends. The second child we met was Margaret. Excited about going to Hands of Hope Academy, Margaret stood by the open door the entire time we were there. When we explained that tomorrow we would meet them in the city to shop for school and then we would go to school, she shook her head. She said something and the translator said, “She says, ‘I want to go now!’” We assured her than we truly would take her there tomorrow and she relented. The third child we met was Mary. Her mum, a single lady, lives with her sister and struggles to feed her children. Both Mary and her mother were so excited about the opportunity for a new life for Mary. To reach the final stop we put the Prado into low gear and crawled up a steep hill to the poorest part of the slums. Turning left and driving down a long walking track, we found a tiny shack made from corrugated siding which housed Sophie, her mum and many other children. “Where do they all sleep?” Courtney asked as we walked across the rubbish strewn ground toward their home. With her long dreadlocks and intelligent eyes, Sophie was my fast favourite. She was dirty from head to toe but exuded beauty and wit. As we talked to her mum and played games with the kids - they love shaking Mzungu hands and jumping like rabbits - our final recruit walked up with his mum. Mentally challenged, his mum is cared for by the community around her. Through the translator, Collins’ mother expressed her joy that we would educate and care for her beautiful little boy. Clearly a bright young man, Collins is a perfect candidate for Hands of Hope Academy. Finding these five students amongst the thousands in the slums of Eldoret is the passion of Eucabeth who served as our translator on this trip. Eucabeth walks the streets of the slums every day and talks to the people. Walking with her, it is clear that everyone knows her. She exudes the compassion of Christ as she embraces and exchanges greetings with the people. 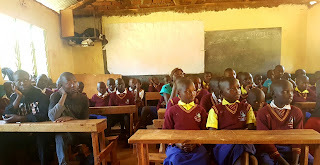 Most of the students sponsored to attend Hands of Hope Academy are orphans rescued from the Eldoret dump. These children spend their days rummaging for food and doing odd jobs for shop owners to earn enough to buy glue. The children on the dump put the glue into bottles and strap the bottles under their nose. This shoe glue is highly toxic and gives them a quick and consistent high. It also damages their brain. Without Eucabeth, it would be impossible to find the needles of potential in the jumbled haystack of Eldoret’s children. We will learn Eucabeth’s story next.